I like to plan in detail my trips, but when my homeworks are done and I saw everything from the list, I can't wait to go on the unbeaten path and try something spontaneous. Full of energy and good ideas from my trip to Bad Saarow, I realized that I still have some time left to delay for a couple of hours my departure from Fürstenwalde to Berlin. As the trains go to the capital city each hour, I tried to be as fast as possible for exploring the this little place on Spree in only 3 hours. I did not need to get panicked that I will not be able to properly see Fürstenwalde, as a big map near the train station mentioned the main attractions and the streets directions. I took the way to Eisenbahnstrasse, a street bordered with a lot of more or less cheap shops. Using my camera as often as possible to catch the unexpected newly painted buildings with shy Jugendstil decorations, I arrived at the old Jewish cemetery. After being mesmerized by the strange architecture of the houses in Saarow, the bourgeoises houses brought me instantly back to reality. Nowadays, the cemetery hosts only a dozen of graves and you can enter only with the key available at the City Museum, situated around 20 minutes away. The first Jewish grave was attested in 1746, but the cemetery as such functioned since 1829 till its destruction in the 1930s. It was reconstructed in 2001. The Jewish community - the Gemeinde - was officially recognized in 1886, years after the religious service took place in private residences. On the place of the former synagogue is nowadays only a memorial inscription installed in 1980s, the place being used by private residents. After an intensive tour of the city in less than 2 hours, I discovered a lot of pleasant corners. For instance, the cute Klawitter shop that has a lot of old objects and pictures from the old city, selling tea, wine and many handmade foods. The extensive shopping can be made at the Fürstengalerie, situated at the end of Eisenbahnstrasse. The city used to have an old brewing tradition. In the 18th century there were around 14 breweries, but none was left for the delights of the beer lovers of today. Before heading to the Spree promenade, I stopped by the Niederlangetor, the oldest construction in Fürstenwalde, built in the 14-15th century, used as a place for depositing good for sale in the Middle Ages. The promenade around Spree was quiet and except some children from Yuri Gagarin school learning to paddle, there was not too much action around. I enjoyed a quiet walk with the view of Spree in the front of me. A completely different Spree from the one I knew from Berlin, more self aware, wild, green and dominant. 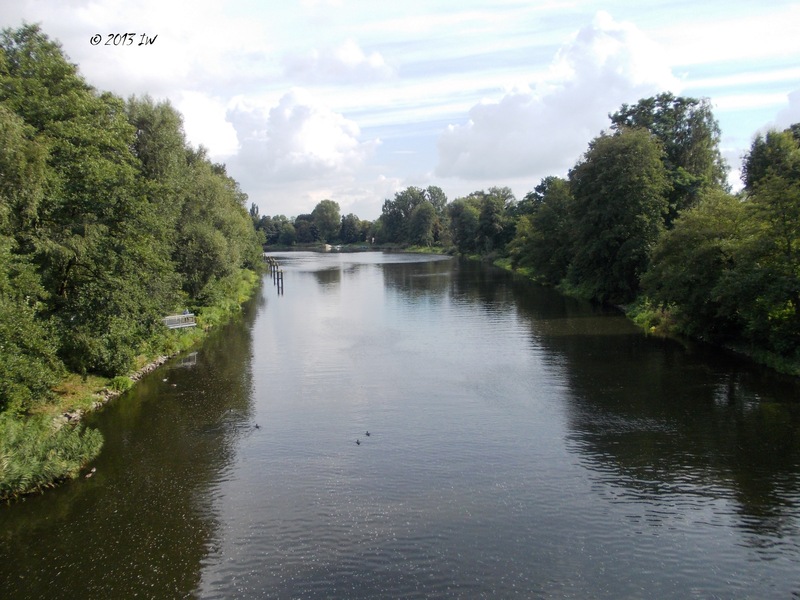 The river played an important role in the economic and political development of Fürstenwalde, as the main and most important trade connection with Berlin and further on, with Poland. Back in the city from the green oasis of Spree, I found myself in the middle of a huge square, dominated by the Kaiserhof Hotel, the most rated accommodation here. 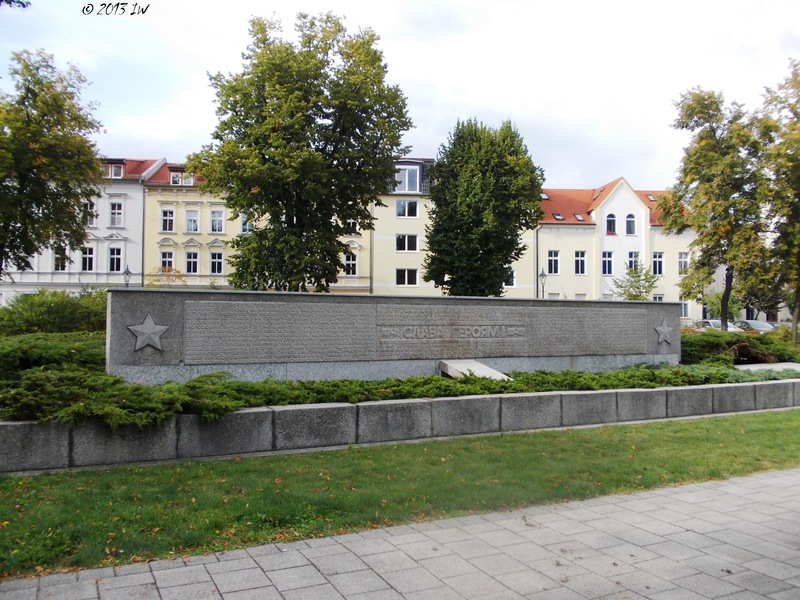 As I would discover later by reading another of the scrupulous historical notes in German, I was in Ottomar Geschke Square, bearing the name of a socialist politician born here with an important political career in the later DDR. The same square has a Liberation monument and another one in the memory of the Soviet soldiers. The square used to be an important meeting point for traders since the old Middle Ages. As many other former communist cities, there are still streets names after Marx and Engels, and some communist looking blocks of houses were re-painted in gay colours, so everything seems to be fine with that part of recent history. I arrived at the train station a bit tired, waiting for my connection to Berlin on a bench while reading some easy books brought from home. From the end of the 19th century, the trains took some of the responsibilities of Spree in terms of bringing Fürstenwalde close to the 'big world'. 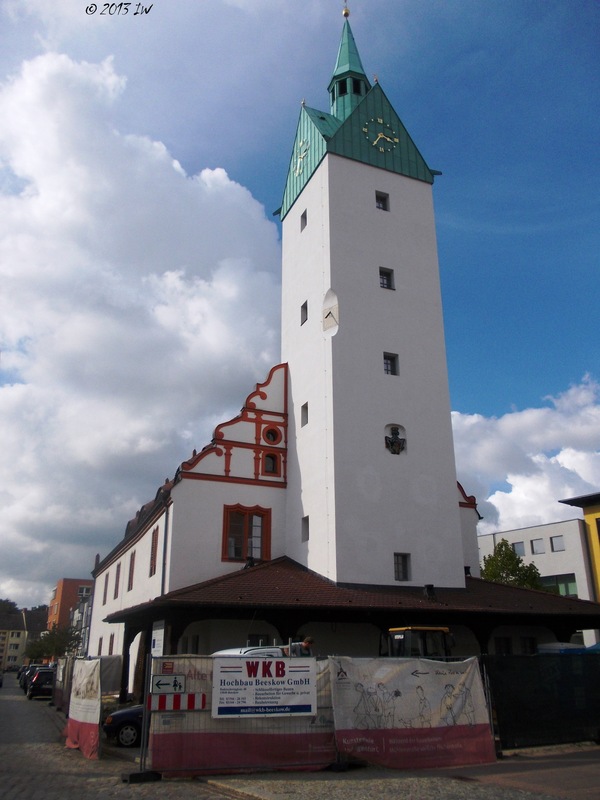 The train station is operating since 1842, being considered one of the oldest in Germany. From 1911, it got connected to the relaxation paradise from Bad Saarow. Nowadays, it brings people close to Berlin, in less than 90 minutes. On the way back to Berlin I was thinking that maybe Fürstenwalde is not such a great tourist destination, but has a lot of historical secrets hidden around the corners of its white houses.